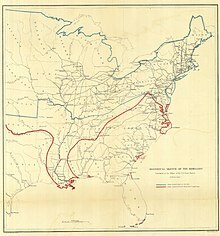 The American Civil War (also known by other names) was a war fought in the United States from 1861 to 1865, between the North and the South. 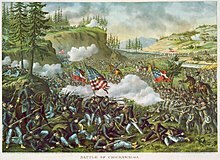 [c] The Civil War is the most studied and written about episode in U.S. history. 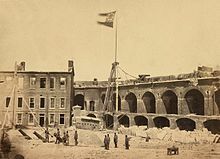 Primarily as a result of the long-standing controversy over the enslavement of black people, war broke out in April 1861 when secessionist forces attacked Fort Sumter in South Carolina shortly after Abraham Lincoln had been inaugurated as the President of the United States. 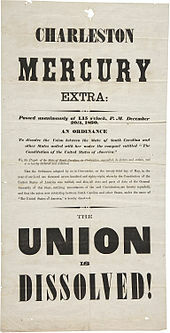 The loyalists of the Union in the North proclaimed support for the Constitution. 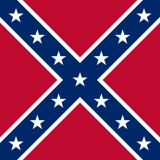 They faced secessionists of the Confederate States in the South, who advocated for states' rights to uphold slavery. 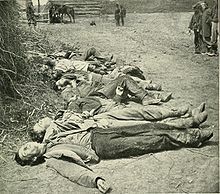 The American Civil War has been commemorated in many capacities ranging from the reenactment of battles, to statues and memorial halls erected, to films being produced, to stamps and coins with Civil War themes being issued, all of which helped to shape public memory. This varied advent occurred in greater proportions on the 100th and 150th anniversary. 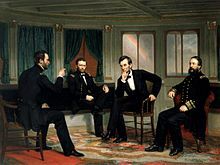 Hollywood's take on the war has been especially influential in shaping public memory, as seen in such film classics as Birth of a Nation (1915), Gone with the Wind (1939), and more recently Lincoln (2012). 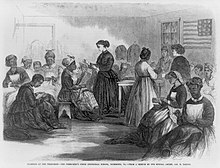 Ken Burns produced a notable PBS series on television titled The Civil War (1990). It was digitally remastered and re-released in 2015. 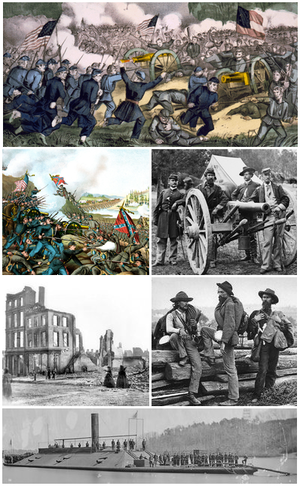 ^ "Civil War Facts". 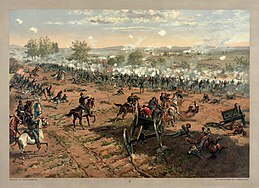 American Battlefield Trust. 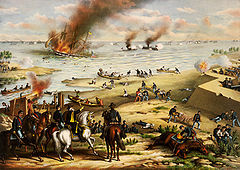 American Battlefield Trust. 2011-08-16. Retrieved October 7, 2018. ^ Freehling, William W. (2008-10-01). 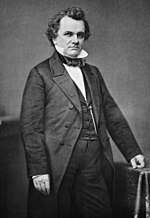 The Road to Disunion: Volume II: Secessionists Triumphant, 1854–1861. Oxford University Press. pp. 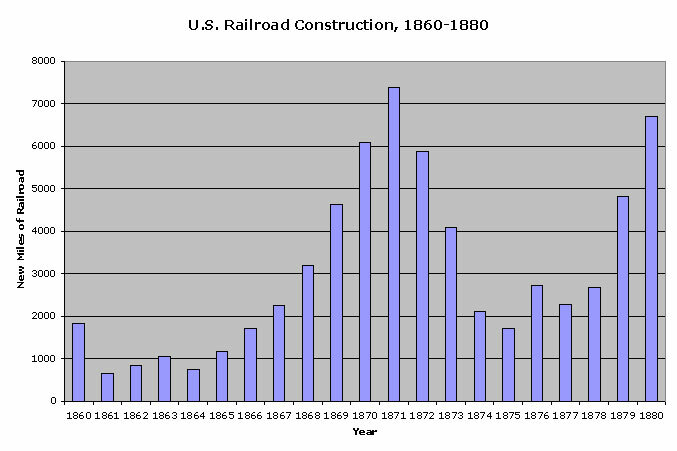 9–24. ISBN 9780199839919. Martis, Kenneth C. (1989). Historical Atlas of Political Parties in the United States Congress: 1789-1988. Simon & Schuster Books For Young Readers. pp. 111–115. ISBN 9780029201701. and Foner, Eric (1980-10-02). 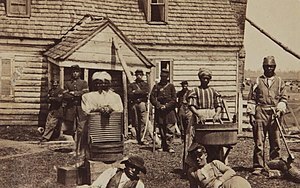 Politics and Ideology in the Age of the Civil War. Oxford University Press. pp. 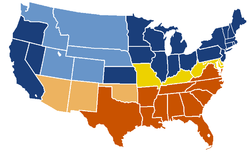 18–20, 21–24. ISBN 9780199727087. ^ Bestor, Arthur (1988). 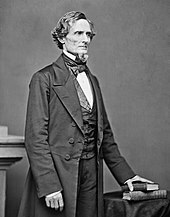 "The American Civil War as a Constitutional Crisis". In Friedman, Lawrence Meir; Scheiber, Harry N. American Law and the Constitutional Order: Historical Perspectives. 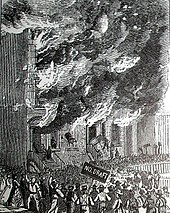 The American Historical Review. 69. Harvard University Press. pp. 327–352. doi:10.2307/1844986. ISBN 9780674025271. JSTOR 1844986. ^ Coulter, E. Merton (1950-06-01). 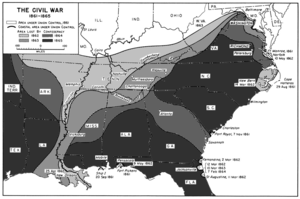 The Confederate States of America, 1861—1865: A History of the South. LSU Press. p. 308. ISBN 9780807100073. ^ Buckley, John (2006-05-09). 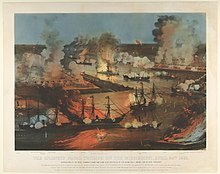 Air Power in the Age of Total War. Routledge. p. 6,24. ISBN 9781135362751. ^ Keegan, John (2009-10-20). 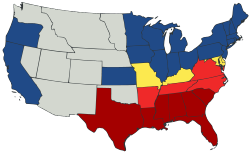 The American Civil War. Knopf Doubleday Publishing Group. p. 75. ISBN 9780307273147.